I disagree, the 5 year plan was the only plan I ever heard for Lotus, that had sufficient financial funding. It was not a plan with only IFs and clay models, but a workable plan which would lead into a full line up of cars. I'm really starting to get annoyed of people claiming in here that Bahar actually had a good plan, except from the F1 and the new facilities in Hethel. So to 80% of this forum members please sum up what Bahar did good or succeed in and what Lotus is benefiting from today. I can't wait to see the list! Is there any company that had said - after DB "left" / was fired etc.- we miss that guy because he did a good job and the results of his work are still with us? Donato Coco's version was definitively much better. the silver one looks like if there was a plan for further PSA sourced parts swapped over for the Esprit ? ..see the door 'handles' (or the lack of them)..just like old Renault/Peugeot of mid 1990 years from the styling ?? I don't mind the MJK Esprit. It's not a wild design, but I don't think that's a bad thing. The Esprit has always been a fairly straight forward and recognizable design and I think that's why it still looks great today over it's different iterations. I think it would be a mistake for Lotus to aim for cars like the MP4-12C or the F458. 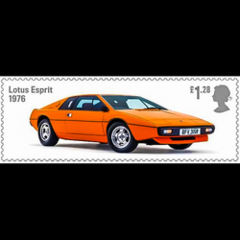 I think they would be better suited going after the 911 market with an Esprit model. One with similar performance and an interior you can take the wife/gf out in without having to explain why it looks like it isn't finished. The 911 has succeeded without going over top in it's design, and everyone instantly recognizes the car and knows who makes it (something you'll rarely find in the with regards to Lotus in the US). If they want to compete with cars like the 458 I think they'd need a new model, one that can have its own design philosophy. It's frustrating that DRB have been so silent on the future of Lotus. I truly hope they're actually working out how to secure Lotus's future as a company and will come out with their plans soon, and those plans better involve bringing more cars to the US damnit. I think we went from an organization / leadership which didn't understand marketing (and I use that in the widest sense, to include aspects such as product management, market research etc) to one that only seemed to understand marketing. Bahar would have understood what the supercar buyer wanted from his time in Ferrari. I suspect he had masses of data showing that nobody wanted a mid-engined 2+2 (which is probably why the Mondial didn't have a successor). I think he seemed a good marketing / product guy but he should never have been a CEO. Much of the blame must go to Proton who didn't bring in the execution expertise. Let's face it, we can see from Proton's lack of success that they can't even run their own shop well, which is why the government forced them into the hands of DRB. The old team did get product out, but it was product that few wanted to buy. Sales targets aren't the same as actual sales and the Evora wasn't hitting the mark even at the beginning when sales are usually the highest. The quality level wasn't up to the level which buyers demand and as Jaguar has shown, the only way to counter a historical reputation for poor quality is to be better than your competition. Still takes time though. At the moment I just don't see how Lotus will be sustainable as a car company without a big global partner who also understands selling to consumers. They need someone who can bring not only resources but a proper distribution channel. Proton were never this partner - they didn't have the resources or expertise. I think they would be better suited going after the 911 market with an Esprit model. One with similar performance and an interior you can take the wife/gf out in without having to explain why it looks like it isn't finished. McLaren have the P13 scheduled for 2015 aimed at the 911 market. Word is it'll take a lot from the MP4-12C, such as carbon chassis, gearbox and perhaps a NA version of the engine. 450bph for around £120k. I think - to be more specific - nobody wanted a 2+2 mid-engined car that is styled like the Mondial but a 2+2 in general is a plus over a two seater IF proper designed. Of course: It is very hard to design a proper 2+2 mid-engined car in my eyes. But the additional seats (for children, adults in emergency, luggage, pets(!)) make a lot of sense and are very useful. As Ferry Porsche said (and he build his cars (except special low production types) to this principle up to the nineties when the Boxster appeared): a 2+2 is always better because more practical. So the unique layout of the Evora, mid-engined, 2+2 (more useful than a 911 because you have a flat platform with no separeted back-seats) a n d a proper design seeems to be very underrated. Car: 2001 Lotus Esprit V8, 2008 Audi S6 V10, now i need a V12. 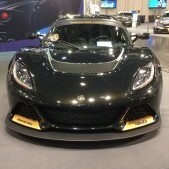 Not sure of their financial ability, but maybe Mazda would be interested in Lotus. They could build a Lotus Elan from the new Miata. Then we can dream of yet another Esprit. Spot on analysis, well put Andrew. ..if we think about downsizing with more compact engine conceptions, it is even more possible to place the engine central in the car -and still have a 2+2 conception. From point of dynamic overall balance this is not a bad thing, and from point of crash safety it is also a good way to have the luggage area first to each end, to form up an controled crumple area. ..it is not meant as an offence, just what we see over here from the 'so glorious global leader culture' . .if you as a civilisation export culture all around the globe it is clear that those people outside (we) know more from you, on the other hand it would be a good sign if you also show interest for the world around you, instead of just exporting Hollywood all around. there in the US, you can see that most people like to re-create the car to look like the newest model, and as 'special' and 'one of a kind' as possible ..so I don't see why there should be more Evoras on the road -would that not make the car more 'usual' and non exotic or rare ..therefore less valuable in the US ?? Wilhelm / Günter, I have no problem with a 2+2, in fact I'm kind of in the market for one - I've let it be known elsewhere here that I'm just picking the right time / opportunity to step into an Aston Martin Rapide which I see as a sports car with extra rear seats. I think the Ferrari FF / 612 and Maserati Granturismo are the other two cars that fit this model though the 991 is pretty close. For me the problem is that few other 2+2s really meet the need if the two parents are both >180cm, in my instance closer to 190cm. I adore the way the Evora drives but I think the old team who developed the concept didn't understand marketing / market needs. Much of the early press was about the uniqueness of the 2+2 mid engined layout. This is like the IT industry shouting about technical specs. As is now clear most buyers don't think this way - they want something that meets their needs. If the primary objective is decent rear seats build something with great rear seats. Just like shouting about processor speeds, most buyers don't care (IMHO) about engine location - they want the benefits that a mid-engine provides, not the fact it's mid-engined. So I would say the Aston as a four door car is simply one competitor in the group of 'stretched' coupe-look-a-like sedans, same as Mercedes CLS, this one VW-Passat based thing and the Audi version ..and as it is bigger than a sporty coupe, so I would not call it sportscar. There is power in all those cars, of course as usuall nowadays ..but that power is just there to compete on the straight line, you could not win in the corner, so as long as a car is heavy on the brake and rolls notable on a track in the US (there are many interesting tracks with curves and bends as you may know) ..as long as it is to heavy for that it is not a sportscar, not even a 2 seater GT kind of thing. I'm presuming that you haven't driven a Rapide. The Audi, Merc etc are all based saloon cars and their driving characteristics seem inherited from the cars they're based on. The Rapide is based on a DB9 / DBS and that's where its driving characteristics are derived. It's nowhere like as sporting as my Elise (what is?) but it's much more sporting than something like the Maserati Granturismo S which only has 2 doors. All the packaging compromises that it has derive from the fact it has a platform evolved from the Lotus-designed one used in the original Vanquish. I'll give you that it's heavy (but that doesn't make it an outlier these days) and it's certainly a GT like the cars it's based on but I really don't (after having significant time in both) think it's much off a non-GT badged modern 911. Of course the Porsche can't compete with a naturally aspirated V12 though the old GT3 engine is very special. I too was sceptical before I drove one and thought I'd be much better off in a DBS / DB9 but there is very little difference in the way it drives and it offers proper rear seats for children (unlike pretty much everything except the Ferrari / Maseratis). it is not only the vehicle mass as a problem, it is the wheelbase too -all those big coupes and the 'coupe shaped' 4door sedands have a notable long wheelbase compared with a real sporty car concept -think you know what yaw-rate and center of gravity vs. overall mass vs. wheelbase means in the end. The Rapide seeing it in the flesh looks a little big larger than the DB9 to me, within the parking garage I use in munich it looks nearly as bis as a Panamera, Ferrari FF looks even much bigger, like the old BMW Z3 coupe "pumped up"
Me ,being 186 cm, wife 168 cm and 10 year old daughter 150 cm and middle large dog (behind me) fit into the Evora but not comfy of course, 20 miles or an one hour drive would be ok. If you want to use it as a 4 seater regularly or on longer distances another car would be better - but for my purposes the Evora ist the perfect car as it delivers the minimum space I need to justify (and I wanted to have) buying the car. Günter, I understand where you're coming from and for something for a sunday morning blast in the mountains or on a track I'd agree with you, but for a GT I'm not convinced that weight is such an important factor. The Nissan GTR seems to handle its weight pretty well and several of the V12 Ferraris aren't that much heavier (FF is within 60kg or so). It's not just computers - suspension technology has evolved a lot in the last 10 years and with a family in tow I get too much grief doing anything other than making smooth, rapid progress. Wilhelm, the Rapide has lots more space than a DB9. If you've ever seen a Ferrari 612 or FF or the Maserati Granturismo S then internal packaging-wise it's about the same - somewhere between a Golf and a 3 series. Decent enough though I give you poor for a car just over 5m long. Have a look at this video from Evo - it's pretty fair though I came to the opposite conclusion, partly I guess because lifting & strapping a small child into the rear of a Maser was hard work and I missed the steering / control feel. We just didn't fit in an Evora, nor a 911. I'm just a bit taller than you and my wife has the same leg length as I do (we never change seat positions). We now have 2 children. We're looking for something that can take us comfortably from Zurich to Maastricht to see the inlaws or down to the med for the weekend. Of course that route down to Italy will be over some passes. Anyway, this is all a little bit of a diversion. My point was that Lotus seems to have flipped from one extreme to another and even as someone who has lusted after them since I was in shorts I'm losing hope. Fundamentally I think that the Bahar diagnosis was right but neither he, nor Proton nor DRB were the right folks to execute on that vision. -it's typical improper use that is common nowadays! ..see the 4x4 mostly used in towns, for momys with kids . .and the GTs, who are not seen on a track this often, or on a real *cross Europe run* ..no those are seen on a car-train that offers transport from Munich to Italy ..so in other words it is mostly 'just for looks' -that's why it is not a problem with the heavier GT cars in customer view. For me the sentence *GT* means a sportive car, with two doors that can run on its own wheels to the trackday, even if this is in the Ardennes or in Salzburg, and back to Berlin with two people of 1.80 -1.90m inside .. with sound system and maybe A/C or phone ..runs good around the corners without to much braking and tire slip and has a boot that holds up two weekend softbacks. I tried to fit in the front and into the rear of the Evora, in Hethel & in Dresden (Germany) ..and have driven the car in UK ..and I'm 1.90m with 110kg ..so know what you mean -the Evora is not a real 4seater, it is a clear 2 seater if you count for people with modern size, on the top end of the 95percentil group -so size of 1.90m+ ..the seat position for this offers not much reserve on the seat rail to go further back, it is mostly as far behind as it goes anyway .. that is why the (+2) comes on the Evora just optional, for temporarly use. From outside proportion the Evora is a blown Elise shape .. positive thing is that the chassis area in the center is a little wider, so it offers more shoulder room and feels bigger, but it is still no real 4 seater -so nothing to blame, the Evora fits into the GT concept from my point of view. Apart from having 4 doors the Aston fits your GT description pretty well. I (188cm) can fit in the back with another me in the front but I wouldn't want to for too long a drive. It's not a Panamera in that respect. Aston raced the Rapide with only minor changes (mostly safety) and it did pretty well. Road & Track lapped a standard car for 24 hours with impressive results. I wouldn't think many of the other 4 door coupes would stand up well to that sort of use. But, and I think this is a big but, I don't think if you were serious about taking a car on a track you'd think of buying most GTs. The cost of consumables would be hard to stomach and I bet you'd have more fun in something like an old elise. I have a good friend with a S1 exige for short tracks and until recently a GT3RS for taking to the ring. Both of these cars are designed for this type of environment. Can you track a GT? Yes, of course you can. Would you want to? Probably not if you're serious about track driving. Apologies if this has been posted in this thread before, but this is absolutely priceless--hilarious! This topic will run and run! In the meantime, another car show has passed Lotus by. Not to worry. It was just in China, home to just 1.2 billion people, lots of them becoming rather rich. Whatever you thought of Dany Bahar, can I just point out the rather obvious fact that had the previous 10 years gone well, he wouldn't have been given the task of 'turning things around'? In short, Lotus was failing before Bahar. It failed during Bahar's reign, and it continues to fail today. You may well have a personal preference about which particular brand of abject failure you choose to support or attack, but let's not kid ourselves that things were, are, or seem to be going well. I don't mean to dismiss the recent past as being without technical successes, and I don't mean to belittle the sterling efforts of those trying to do their best, but with the company starved of investment and unable in the end to produce products that can find an audience and earn a tidy profit with large enough sales volumes and profit per unit, the dice were, are, and continue to be loaded firmly against any real success. The solution isn't to do slightly bland low volume supercars. If you're going to ask a vast amount of money for a nippy go kart, it had better make you look and feel rather special. The argument 'if it's bland, then it doesn't need redesigning very often' is a false one in my view. A *classic* design doesn't need much refreshing. Arriving at a classic design is not easy. Any failing company can sell low numbers of ugly cars which fail to return their investment. The Evora will never be *classic*. It was marmite at launch and it has failed to find an audience. So please. Let's hear no more about past ugly ducklings. Donato Coco gave the design a kick up the proverbial. What a shame he never got the chance to do more than marketing vehicles. And let's hear no more about 1.5 million 'pure profit'. What, actually, can you do with such a sum of money? Design a bicycle? Get the Evora through an airbag test? The result of 10 years of hard slog, and that's the return...? well it's not enough, is it, not in comparison to any sensible R&D investment. The company drifts in Limbo. I genuinely think it could be the same in 12 months from now at this rate... fingers crossed for a miracle! Dany is awesome. I know, cos he told me. Of all the cars I'll never drive, he made the best ones that will never be built. Give him his dues, that's an achievement right there.